The British Chevening Awards programme, funded by the British Government (Foreign and Commonwealth Office) and administered by the British Council, has awarded over 1000 scholarship and fellowships to Indonesians since 1984. Full scholarships are offered for one year Master degrees at United Kingdom universities and other professional institutions. The scholarships would cover living costs, tuition fees and return airfares. The deadline for applications for 2012/13 Chevening Scholarships in Indonesia and East Timor is 15 January 2012. 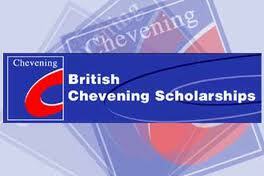 Applications 2012/2013 Chevening scholarships should be made via the official website. Candidates should be aware that Chevening 2012/2013 is aligned with delivery of the FCO`s priorities. More information about these is available at official website. Employees, employee`s relatives (or former employees who have left employment within the last two years) of the FCO, including FCO posts, the British Council or any Chevening sponsors are not be eligible for these awards. Other information relevant to applications will be posted on this page and at official website as well as on the Chevening Facebook page. All candidates are encouraged to start researching appropriate postgraduate courses at UK institutions and making applications directly to them as appropriate. Demikianlah informasi UK Chevening Scholarships for Indonesia and East Timor at The British Chevening Awards kami sampaikan, semoga bermanfaat.